Seamlessly integrated into the bristle panel is ikoo’s unique ventilation system, highlighted in silver, which offers two crucial features: excessive heat and moisture escapes more easily and blow-drying is facilitated. 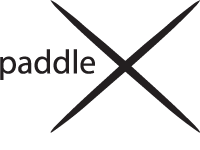 All paddle X brushes are manufactured carefully under avoidance of any animal glue – PETA even awarded us their highly-valued seal: ikoo’s paddle X is suited for vegans and vegetarians. 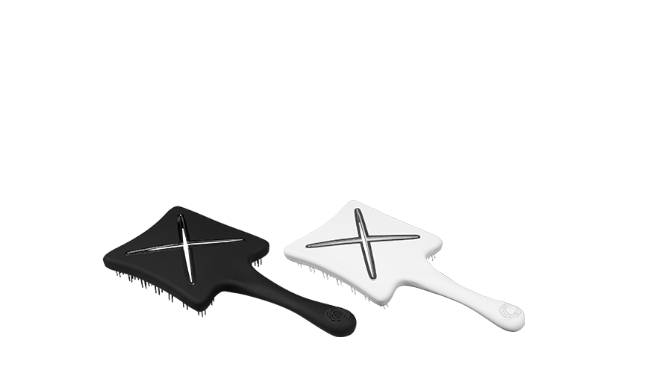 We focused on the bristle shape to offer maximal volume to hair: with its concave silhouette and the iconic chessboard bristle panel, hair styling will feel easier than ever! 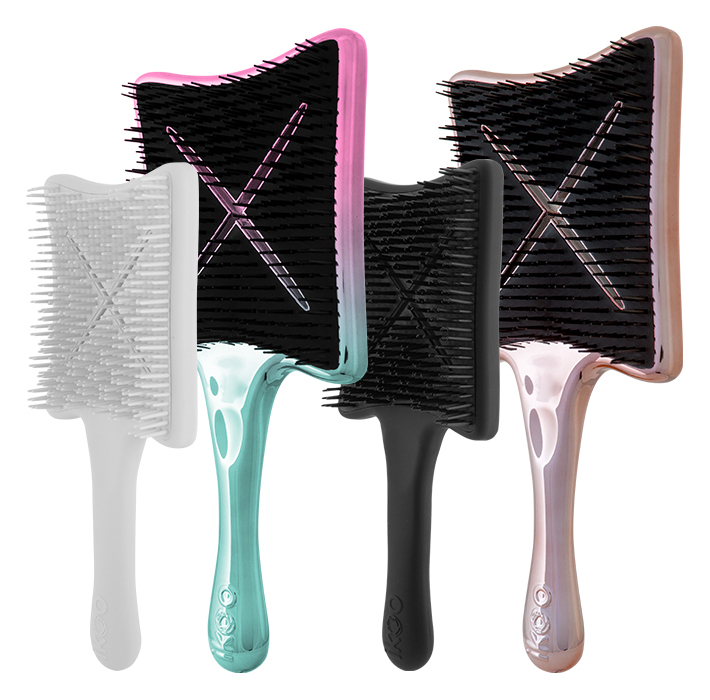 Maximum volume and perfect blow-out results in 3 easy steps – with the paddle X! 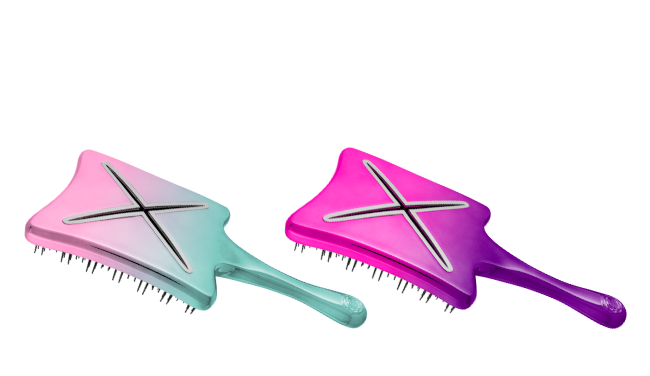 Maximum volume & perfect blow-out results in 3 easy steps – with the paddle X! 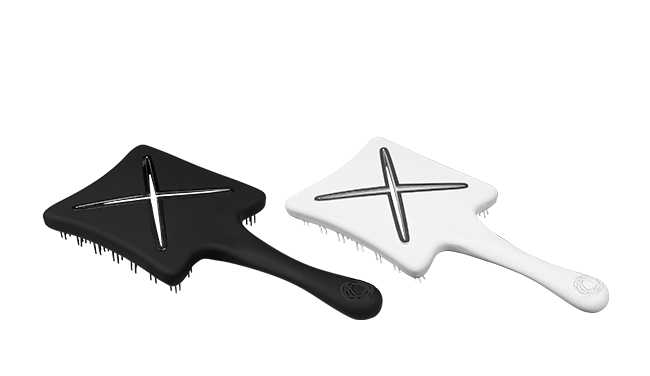 Our paddle X products offer professional features for a perfect styling at home: its unique ventilation unit in the striking X shape, painless hair detangling through chessboard bristles and the well-known massage function according to TCM principles.